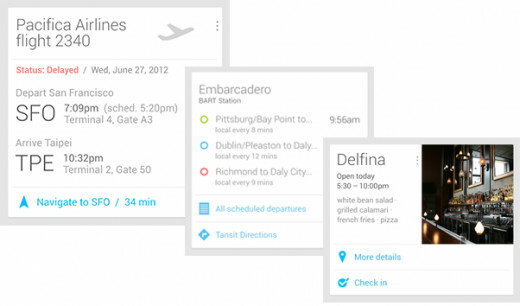 Android Jelly Bean is the newest version of Google's operating system for mobile devices. 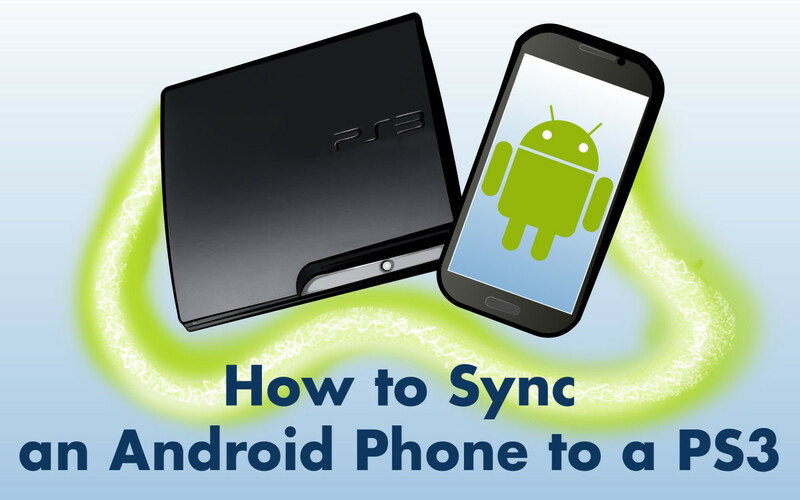 It provides an optimized user experience and performance and improves on the previous version Android 4.0 Ice Cream Sandwich. It comes in two flavours - 4.1 and 4.2, but we are expecting a new 4.3 to be announced very soon. 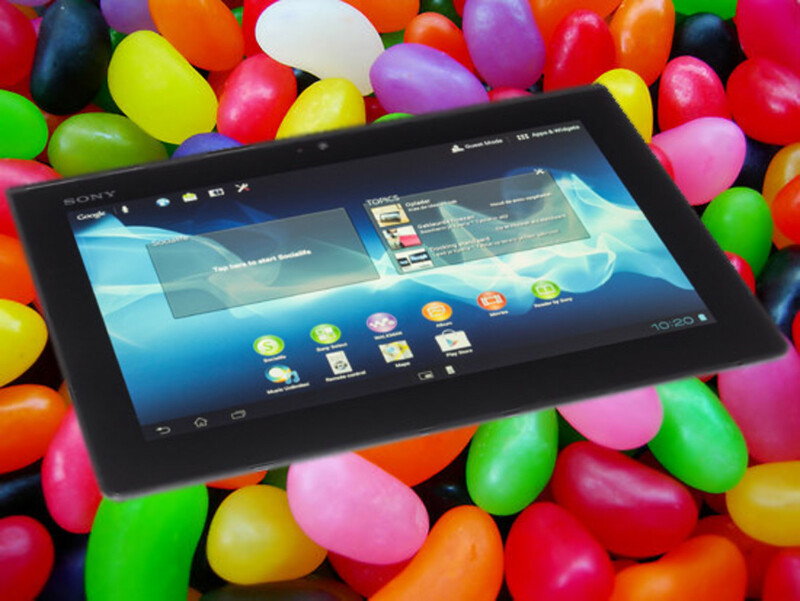 The first device to come out with it was Google's first tablet Nexus 7 (manufactured by Asus). The next device to get an official update, of course, was the Samsung Galaxy Nexus and more devices from Google that feature stock Jelly Bean 4.2.2 from Google are also the Nexus 4 smartphone and the Nexus 10 tablet. 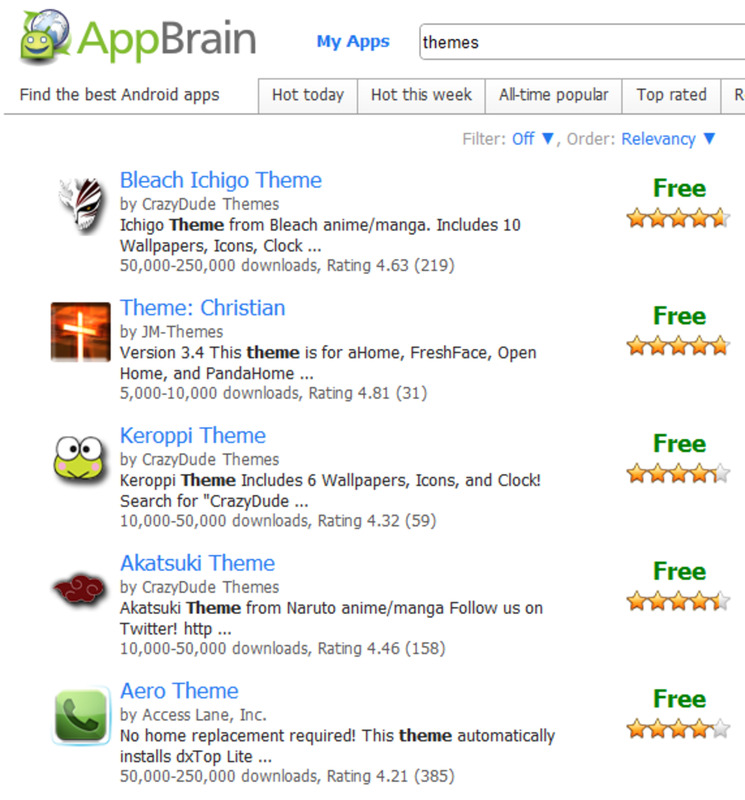 A lot of people are excited about the new step in Android's development and they have a good reason to be. The updated operating system provides great performance and functionality without destroying any of its familiarity. So without further ado we are going to start talking about its five best new features. 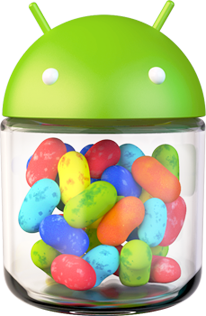 Android Jelly Bean is the most polished version of Android so far and Google have the right to be proud. The new version of the mobile operating system was optimized in a project called Project Butter. The guys at Mountain View obviously did a very good job, since the whole interface is moving along very quickly and the system responds to every touch immediately. This optimized performance significantly enhances the overall user experience and the dual-core smartphones with Jelly Bean can sometimes come close to the performance delivered by quad-core smartphones with Ice Cream Sandwich. 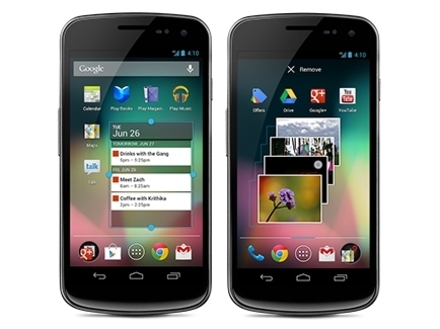 On top of it all, the bettered overall user experience has made a lot of people give up on their iPhones in favor of Nexus 4s. Despite the fact that Google are not bragging with Jelly Bean's voice recognition abilities the way Apple are bragging with Siri, Google have made significant improvements on the system, which handles much better than Samsung's S-Voice available on the Galaxy S4 and SIII. Google Voice Search is not as conversational as Siri, but it works very quickly and provides very useful functionality. If you search for a piece of information and Google can extract it, you almost instantaneously get a Knowledge Graph card that provides you with the required info paired with a picture. If you search for celebrities' birthdays, country areas, weather forecasts or any other specific pieces of information, you receive exactly what you searched for and you also see the sources if you feel like reading into it. If Google Voice Search cannot provide a suitable info card, it automatically defaults to a Google Search results page for the phrase you asked about. Additionally, if you use the line "note to self", it will send your note to your gmail account. The biggest achievement here is the speedy responses and the ability to pull out information off the web extremely quickly. 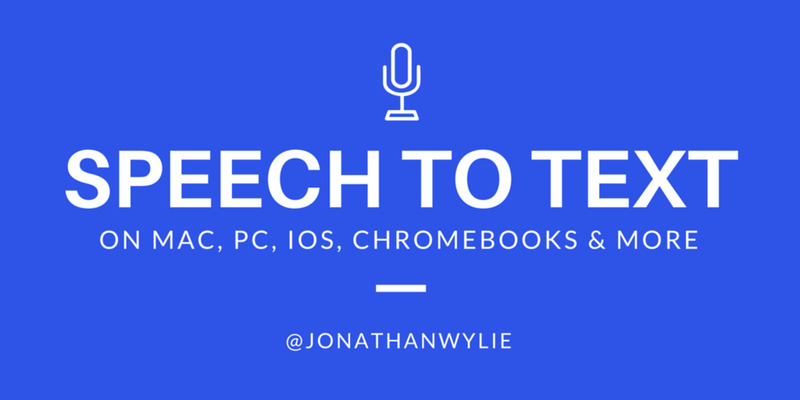 Another important voice recognition capability is the downloadable offline voice recognition bundle that would take up only 22MB from your device's memory. It allows the use speech as an input method anytime they want to. This provides a clear advantage over Siri since Apple's voice assistant requires access to Apple's servers in order to function. Of course, there was no way that the tune-ups would miss the unlock and home screens. They are redesigned to be more convenient and with added functionality. You have the option to unlock your phone directly to Google Now, which is another interesting new feature. Additionally, the homescreen widgets are resizable and when you drag a new widget onto the screen it automatically finds its place and resizes itself or other widgets in order to fit the available screen space. In the end it's nothing so new, but it simply adds up to the more polished user experience that still pure Android. The whole user experience has been polished up with this new version of Android and the push notifications functions didn't get left behind. Notifications can now be contracted and expanded and the notifications drop down shade is as responsive and well-designed as the rest of the system. Each notification allows you perform different actions directly from there like returning a call or sending a text message. It's not so different from what it used to be before, but it's just polished and enhanced with wider functionality. 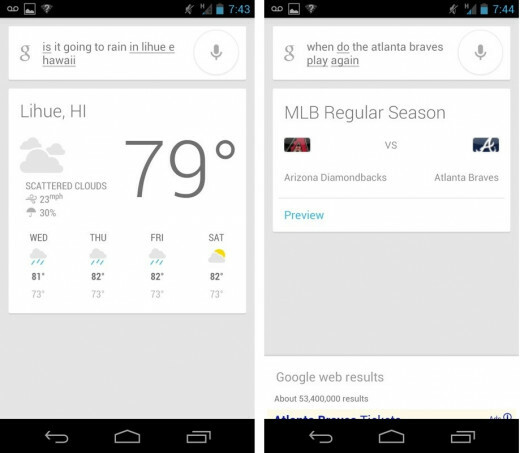 Google Now is a fascinating new functionality that learns what you like, use, and need. It is aware of where you are what you are doing, so when you open it, it provides you with useful information depending on your preferences. For example, if you open it in a restaurant, it can present you with available information on the menu; if you open it before you go to work, it might present you with the weather and the traffic information. It's one of those a bit creepy and scary features that easily demonstrate how much Google actually know about us personally. Despite the fact that some people might find it creepy, many would certainly enjoy it and use it. Another thing the Android development team at Google polished and optimized is the update process for apps. Until now app updates worked by downloading the full new version and deleting everything from the old one even if most of it was the same. The new process replaces only the files that have changed which makes updating your app to the latest versions faster, easier, and more efficient. No more bandwidth will be wasted on redownloading files that are already on your smartphone or tablet. It might sound minor to some folks, but this is the type of little touches that differentiate the great mobile operating systems from the good. Everything that makes a task faster and more efficient is more than welcome. Jelly Bean is what Android should be. It is not so different from Ice Cream Sandwich, but it provides a superior experience, expanded functionality and much speedier performance. This is the Android build that has launched the operating system into a more commanding position. Right now almost all of the top devices available come with it or could be upgraded to it and the best devices to showcase Jelly Bean's appeal are the devices from the Nexus line from Google - the LG Nexus 4 smartphone, the Asus Nexus 7 small tablet and the Samsung Nexus 10 large tablet - all devices designed specifically to show how a Jelly Bean Android mobile device should work. Thank you for your comment. Will check your hub out. Gamerelated, thank you for your comment. I wish Jelly Bean was available on HTC One X. This would make it the perfect smartphone in my personal book since I like both the hardware specs and the appearance. If they get paired with such a snappy OS, there would be nothing more to be desired. Hello Distant Mind, great Hub on Jelly Bean. I can't wait for this operating system to roll out on more devices. You are right about Google not making a big deal about voice recognition. 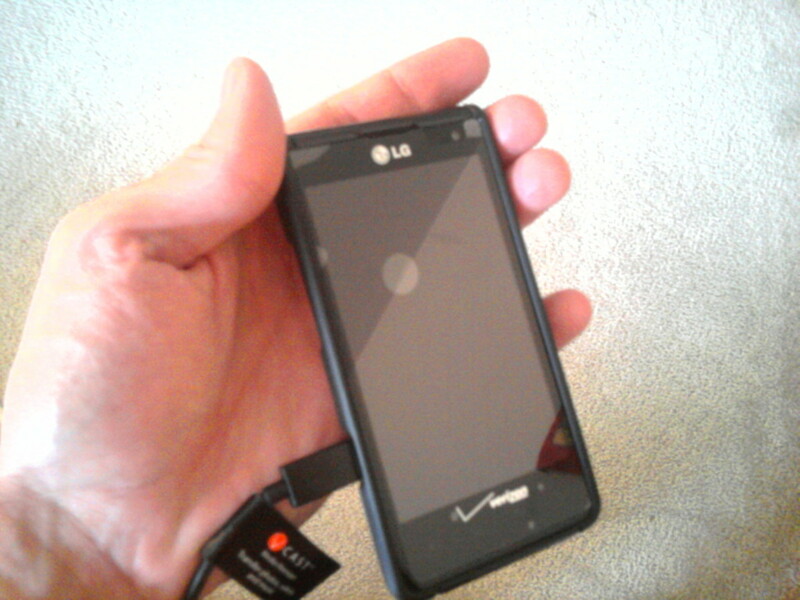 They had voice recognition since the My Touch 4G genius button. Good work, I look forward to reading more of your Hubs. Thanks for the information on this new technology. It's always good to know what your options are in this area. The Google Q doesn't attract me at all unlike the Nexus 7 which seems really great. The Q is simply too expensive and doesn't provide enough functionality. On the other hand, Google Glass will probably be something great, but it's far away from finished. I won't be surprised if another company beats them to it. Android 4.1 Jelly Bean is cool and the I love Google Now function very much. The Google Q and Google glass are innovative products attract me.